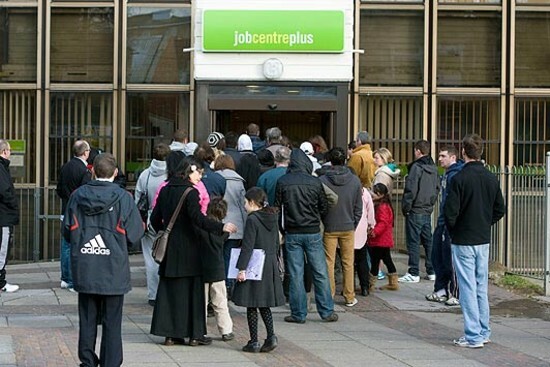 Parked on the dole: Closing Job Centres and handing responsibility for finding work to private companies would condemn thousands – if not hundreds of thousands – of people to a life on benefits (if they don’t get sanctioned and starve). It’s incredible that allies of George Osborne are backing proposals to shut down all Job Centres and let private companies fill the void. The proposal to let the private sector find work for Britain’s unemployed is actually being considered for inclusion in the Conservative Party’s election manifesto for 2015, according to the Huffington Post. This means Conservatives are naturally unimaginative, if not altogether stupid. Have they already forgotten the lessons learnt from the way work programme provider companies treated jobseekers that were sent their way – as Vox Political reported last year? The process is known as “creaming and parking”. Work programme providers knew that – because they get paid on the basis of the results they achieve – they needed to concentrate on the jobseekers who were more likely to find work quickly. These people were “creamed” off and fast-tracked into work, thereby creating profit for the companies. And the others? Those who need more time and investment? They were “parked” – left without help, to languish in the benefit system for months and years on end – in a situation that Work and Pensions Secretary Iain Duncan Smith has said many times that he wanted to reverse. In fact, his policies have perpetuated the problem. And now George Osborne wants to spread this practice to all jobseekers, across the country. It’s time the voting public woke up to what the Conservative Party is, and “parked” it in the history books where it belongs. 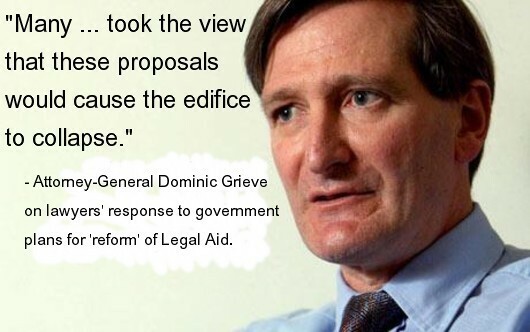 Sacked: Dominic Grieve’s reservations about Legal Aid cuts put him at adds with the Coalition government; it seems his concern over a planned attack on human rights led to his sacking. Now we know why former Attorney General Dominic Grieve got the sack – he is said to have opposed a forthcoming Conservative attack on the European Court of Human Rights, which he described as “incoherent”. Coming in the wake of his much-voiced distaste for Chris Grayling’s cuts to Legal Aid, it seems this was the last straw for David Cameron, the Conservative Prime Minister who seems determined to destroy anything useful his party ever did. The European Court of Human Rights was one such thing; Winston Churchill helped set it up after World War II and its founding principles were devised with a large amount of input from the British government. It is not part of the European Union, but is instead connected to the Council of Europe – an organisation with 47 member states. It seems the Conservatives want to limit the European Court’s power over the UK, because they want Parliament to decide what constitutes a breach of human rights. The opportunities for corruption are huge. Considering the Conservative-led Coalition’s record, such corruption seems the only reason for the action currently being contemplated. The plan could lead to the UK being expelled from the Council of Europe, and the BBC has reported that Mr Grieve had warned his colleagues that the idea was a plan for “a legal car crash with a built-in time delay”, an “incoherent” policy to remain a signatory to the European Convention of Human Rights but to refuse to recognise the rulings of the court which enforces it. This blog has already discussed the Tories’ plan to take away your human rights but it is worth reiterating in the context of the latest revelation. The United Kingdom helped to draft the European Convention on Human Rights, just after World War II. Under it, nation states’ primary duty is to “refrain from unlawful killing”, to “investigate suspicious deaths” and to “prevent foreseeable loss of life”. The Department for Work and Pensions has been allowing the deaths of disabled people since 2010. Withdrawing from the European Convention and scrapping the Human Rights Act would mean this government would be able to sidestep any legal action to bring those responsible to justice. Article 4 of the Convention prohibits slavery, servitude and forced labour – in other words, the government’s Mandatory Work Activity or Workfare schemes. The government has already faced legal action under this article, and has been defeated. It seems clear that the Tories want to avoid further embarrassment and inflict the maximum suffering on those who, through no fault of their own, do not have a job. Article 6 provides a detailed right to a fair trial – which has been lost in the UK already, with laws allowing “secret courts” to hear evidence against defendants – which the defendants themselves are not permitted to know and at which they are not allowed to be present. The Legal Aid cuts which Mr Grieve opposed were also contrary to this right. Article 8 provides a right to respect for one’s “private and family life, his home and his correspondence” – and of course the UK’s violation of this right has been renewed only this week, with the Data Retention Act that was passed undemocratically within a single day. And so on. These are not the only infringements. Clearly the Tories want to sideline the European Court so they never have to answer for their crimes against the British people. Yet again UK government ministers, having painted themselves into a corner, have tried to manoeuvre out of trouble by misleading other MPs and the general public. Readers of this blog – and its writer – were disgusted (although not surprised) to hear Iain Duncan Smith protesting innocence on behalf of his absent employment minister, Esther McVey, in a statement and short debate on Universal Credit in the House of Commons yesterday (July 9). We have all endured too much of this. It is time honesty – or at least, more of it than is currently evident – returned to the corridors of power. It may have been inappropriate for Chris Bryant MP to make an accusation of deliberate deception against a group of ministers during the debate on Universal Credit, but in my opinion he would have been correct if he had done so. We know that the Employment Minister, Esther McVey, told Parliament on June 30 that the Department for Work and Pensions’ business case for Universal Credit had been approved by the Treasury; we know that Sir Bob Kerslake said on Monday that the business case has not been signed off; and yesterday we heard from the Secretary of State for Work and Pensions that the Treasury has only been signing off on annual budgets. There is a significant difference between a business case and an annual budget. It would stretch credulity too far to ask the British people to accept that the Employment Minister, the Secretary of State, the head of the Civil Service or anybody in the Treasury cannot tell the difference. Therefore we must conclude that at least one member of the government has lied to Parliament and to the public. Since the Employment Minister’s statement referred to a comment by the Secretary of State on December 5, in which I am reliably informed that he did not say the business case had been signed off, it seems likely that she is the culprit. It is also possible, however, that she was misinformed by the Secretary of State himself. Logically, if the Employment Minister did not check Mr Duncan Smith’s speech in Hansard, then she must have asked him what he said. In that case, the Secretary of State has knowingly misled the Employment Minister, Parliament and the public. You will be aware that it is possible for MPs to commit Contempt of Parliament, if “any act or omission … obstructs or impedes either House of Parliament in the performance of its functions… or … has a tendency, directly or indirectly, to produce such results”. An attempt to mislead the House regarding the status of a flagship policy such as Universal Credit must certainly qualify as such an offence. Perhaps you are aware of the case of Nicholas Scott, a minister of state for social security in the John Major government of 1992-7, who ‘talked out’ a private members’ bill aiming to outlaw discrimination on grounds of disability. Asked if he had deliberately filibustered, he denied it – but was found to have misled Parliament. The then-Prime Minister had previously given his word that any minister who knowingly misled his or her fellow MPs should be sacked. It is to his shame that he did not honour this promise. MPs accused of contempt of Parliament may also be suspended or expelled. I regret to say that this is the point at which my knowledge runs out – I do not know whether a member of the electorate may request the investigation and possible dismissal of a Member accused of misleading Parliament, or whether the request must come from another Member. Perhaps you could assist me in this respect. At the very least, it would seem that if Mr Bryant or another Member raised an official complaint on grounds that one or more of the team at the Department for Work and Pensions has misled Parliament, an investigation would be in order. Perhaps – again – you could assist me with information on how this may be facilitated. This seems an appropriate moment to explore Parliamentary procedures on contempt/misleading or lying to MPs, as Hansard is littered with incidents of such behaviour – not only by ministers of state but by Cabinet ministers including the Work and Pensions secretary, the Minister without Portfolio (Cabinet Office) (Mr Shapps), and indeed the Prime Minister himself. I cannot speak for everybody but I do know that many members of the electorate are utterly sick of this behaviour and want it ended. No Member was ever elected to Parliament in order to lie to us and an example should be made of those who do. 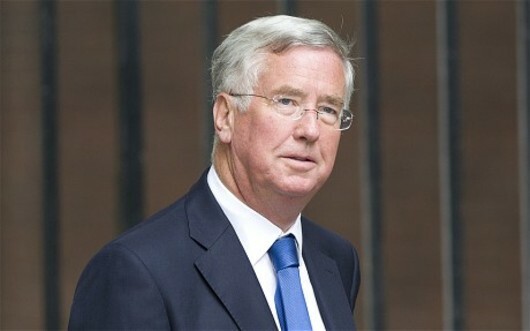 A waste of taxpayers’ money: This is Tory business minister and twit Michael Fallon. 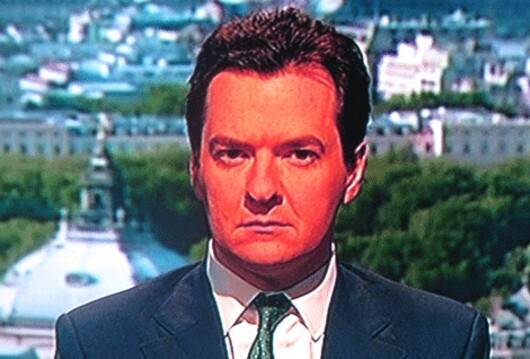 The amount of money his ‘red tape’ cuts have cost this country mean he should be behind bars, not in front of them. Conservative business minister Michael Fallon has announced that the Coalition government’s cuts in ‘red tape’ are saving businesses £1.5 billion every year. How wonderful for him. What he has neglected to mention is the fact that the taxpayer will have to pick up the tab – possibly at much greater cost. Fallon reckons the government is “stripping back unnecessary rules that restrict enterprise and act as a brake on jobs and growth”. Simplified mandatory reporting of workplace injuries. The words in quotation marks are questionable. Who decides which businesses are “low risk”? Why would health and safety inspections by “unnecessary” in their cases? How do we know an employer is “responsible”, and why – after being labelled as such – should we believe they would not lie about whether an incident was “totally outside of their control”? The possibilities for corruption are huge, now that the “brake” has come off. Fortunately, it is possible to measure – very roughly – the effect of these measures; you simply look at the number of people applying for incapacity benefits. These are people who are unable to work because of illness or injury. Counting them is not a perfect way of measuring the government’s success in cutting red tape while safeguarding employees’ health, because factors other than the workplace may be relevant in a number of cases. However, these should be seen as a minority only. We know that, in May 2010, before the Coalition government came into office and started stripping away this “unnecessary” red tape, 28,300 ESA claims were awaiting assessment. From the same source, we know that the number currently awaiting assessment is “just over” 700,000. Mr Fallon wants you to believe that none of these claims relate to his red tape cuts but the increase is simply too large to be discounted. The lowest possible assessment rate of ESA (the amount they receive before their claim has been assessed) is £51.85 per week. Even if all claimants were receiving this, that’s a cost of £36,295,000 to the government, per week. The taxpayer pays that bill. Over a year, it adds up to £13,247,675,000. That’s at the assessment rate. Now, some of these may be knocked off-benefit after assessment – but this process, itself, costs money. It costs £311 per claim, according to the most recent official source available to this blog at the time of writing. Clearing the backlog would therefore cost £217,700,000. This means the cost of assessing the 700,000 claims that have mounted up during the years of Conservative-led, red-tape-cutting Coalition government totals a vertiginous £13,465,375,000. That’s almost nine times as much as Fallon thinks is being saved – spent on ESA assessments alone! What a waste of taxpayers’ money. Evil eyes: Esther McVey seems to get a perverse thrill from pretending her government’s policies are helping people; it is more likely they are driving the needy to despair and suicide. Note to Iain Duncan Smith: It is not a good idea to try to inspire confidence in a £multi-billion “money pit” disaster by wheeling out Esther McVey to lie about it. The woman dubbed “Fester McVile” by some commentators has accumulated a reputation so bad that the only way she can hide the metaphorical stink from the public is by associating with …Smith himself, in whose stench she seems almost fragrant. But not quite. This is a woman who has lied to the public that it is impossible to carry out a cumulative assessment of the impact on the sick and disabled of the Coalition’s ‘final solution’ changes to the benefit system. This is the woman who, in the face of public unrest about the prevalence of zero-hours contracts, announced that Job Centre advisors will now be able to force the unemployed into taking this exploitative work. She has previously misled Parliament over the loophole in Bedroom Tax legislation that meant the government had removed Housing Benefit from thousands of people who were exempt from the measure – including Stephanie Bottrill, whose suicide has been attributed to the pressure of having to survive on less because of the tax. Asked how many people had been affected by the loophole, McVey played it down by claiming she did not know the answer, while other ministers suggested between 3,000 and 5,000. In fact, from Freedom of Information requests to which just one-third of councils responded, 16,000 cases were revealed. Mark Hoban stood in for McVey to trot out the lie that independent reviews of the Work Capability Assessment had identified areas of improvement on which the government was acting. In fact, out of 25 recommendations in the Year One review alone, almost two-thirds were not fully and successfully implemented. In a debate on food banks, McVey’s lies came thick and fast: She accused the previous Labour government of a “whirl of living beyond our means” that “had to come to a stop” without ever pausing to admit that it was Tory-voting bankers who had been living beyond their means, who caused the crash, and who are still living beyond their means today, because her corporatist (thank you, Zac Goldsmith) Conservative government has protected them. She accused Labour of trying to keep food banks as “its little secret”, forcing Labour’s Jim Cunningham to remind us all that food banks were set up by churches to help refugees who were waiting for their asylum status to be confirmed – not as a support system for British citizens, as they have become under the Coalition’s failed regime. She said the Coalition government was brought in to “solve the mess that Labour got us in”, which is not true – it was born from a backroom deal between two of the most unscrupulous party leaders of recent times, in order to ensure they and their friends could get their noses into the money trough (oh yes, there’s plenty of money around – but this government is keeping it away from you). She said the Coalition had got more people into work than ever before – without commenting on the fact that the jobs are part-time, zero-hours, self-employed contracts that benefit the employers but exploit the workers and in fact propel them towards poverty. She lied to Parliament, claiming that children are three times more likely to be in poverty if they are in a workless household. In fact, according to the Joseph Rowntree Foundation, in-work poverty has now outstripped that suffered by those in workless and retired households; children are more likely to be in poverty if their parents have jobs. She attacked Labour for allowing five million people to be on out-of-work benefits, with two million children in workless households – but under her government the number of households suffering in-work poverty has risen to eight million (by 2008 standards), while workless or retired households in poverty have risen to total 6.3 million. She claimed that 60,000 people were likely to use a food bank this year – but Labour’s Paul Murphy pointed out that 60,000 people will use food banks this year in Wales alone. The actual figure for the whole of the UK is 500,000. She said the Coalition’s tax cuts had given people an extra £700 per year, without recognising that the real-terms drop in wages and rise in the cost of living means people will be £1,600 a year worse-off when the next general election takes place, tax cuts included. 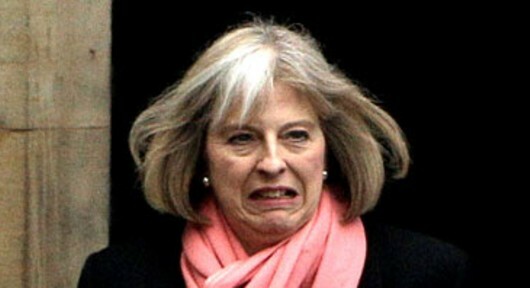 She said stopping fuel price increases meant families were £300 better-off, which is nonsense. Families cannot become better off because something has not happened; it’s like saying I’m better off because the roof of my house hasn’t fallen in and squashed me. In her food bank speech, she also said the government had brought in Universal Credit to ensure that three million people become better-off. There’s just one problem with that system – it doesn’t work. This brings us back to the current issue. 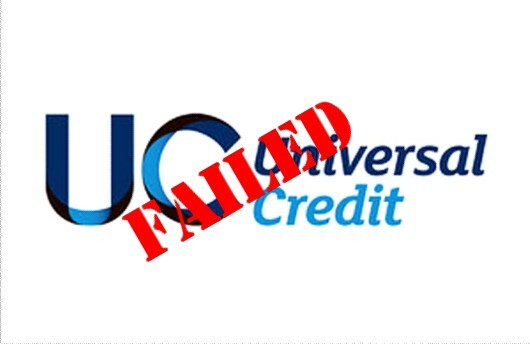 Last month, in a written answer to Labour’s Rachel Reeves, McVey claimed that – and let’s have a direct quote so there can be no doubt that these were her words: “The Chief Secretary to the Treasury has approved the [Universal Credit] Strategic Outline Business Case.” That would mean the Treasury was willing to continue funding the disaster. In fact, civil service boss Bob Kerslake admitted yesterday that the Treasury has not signed off the scheme, which the Major Projects Authority classifies as being at serious risk of failure. Even for a minister in the Coalition government, this woman has lied far too often. She is a danger to the national interest. We know you’re a liar but you refuse to go. We know …Smith is a liar but you refuse to sack him. Here’s Esther McVey. Her lies have made her utterly worthless to you. She is a liability. Kick her in the backbenches. Don’t expect Conservative ministers to do the honourable thing when they are found to have misled Parliament – it turns out they have ‘previous’ (or is it ‘form’?) in this regard. Take a look at the YouTube clip above. It is from an April, 1994 episode of Have I Got News For You and refers to Nicholas Scott, then a minister of state for social security, who ‘talked out’ a private members’ bill aiming to outlaw discrimination on grounds of disability. On behalf of the Conservative government of the day, he made it his business to ensure that it would remain possible to discriminate against disabled people. Of course Major stood by his minister – Scott was only doing what Major had told him! In fact, Parliamentary convention has long held that anybody committing ‘contempt of Parliament’ by deliberately misleading fellow MPs may be suspended or expelled, as highlighted previously by this blog. The clip makes it clear that Conservatives have been ignoring such rules for decades – and that the person to blame is usually the one at the top – John Major, back in the 1990s. This makes sense. Look at Iain Duncan Smith, who has loudly and continually fibbed his face off about his so-called “welfare reforms”, in spite of the mountain of evidence showing that tens of thousands of people have died because of them. That is as discriminatory as a law can be. Commenters on this blog, in their multitudes, have asked why Iain Duncan Smith has remained in his post after setting in motion the sequence of disasters that have hit the Department for Work and Pensions on his watch. Looking at the Scott/Major affair, we can deduce that the man we call RTU has not been ‘Returned To Unit’ (in this case, the backbenches) because he has been doing exactly what David Cameron wanted – victimising the disabled in the worst possible way. 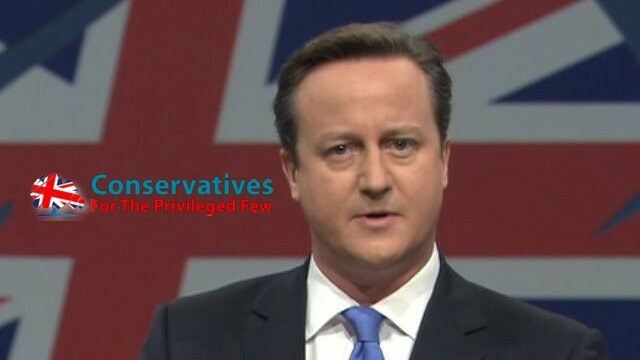 What does this say about Cameron, whose own late son was disabled? Cameron claimed all the disability benefits he possibly could, before he became Prime Minister and ordered RTU to cancel them or change their eligibility criteria so that almost nobody could legitimately claim them. Recent stories show that RTU is still victimising the disabled while his reaction to criticism is becoming increasingly unbalanced. Meanwhile, Cameron has to answer for multiple offences of his own. Most recently he lied about waiting times in the English part of the National Health Service, but this article also highlights his false claim – in a party political broadcast – that the Coalition was “paying down Britain’s debts”, and the false claim that spending on the NHS had risen in real terms since the Coalition took office. What conclusion can we draw from this? It’s obvious, really. Your Conservative-led Coalition government has been lying to you. It is lying to you now. It will lie to you in the future. This is not in the national interest. How can it be in the national interest for the government to pass laws that harm the disabled – and to pass laws that could harm the sick by delaying medical aid – and then lie to you to keep you quiet? It is ideologically-motivated cruelty. Nothing more. It will continue as long as your vote supports it. 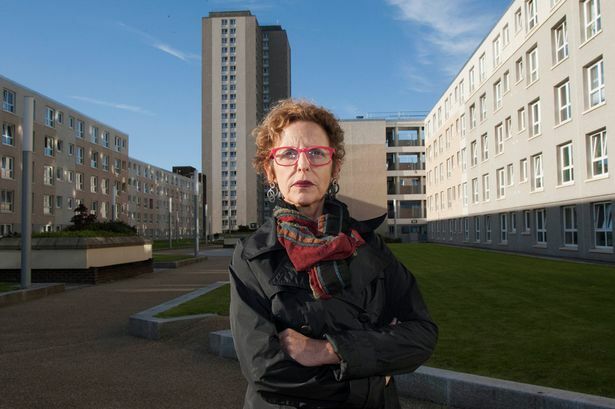 The victim: Raquel Rolnik, the United Nations’ expert Special Rapporteur on Housing is once again the victim of a baseless Daily Mail smear piece. Yet again, the Daily Heil has been using the tactics of its best friend Adolf Hitler – the ‘Big Lie’ – to attack a United Nations official whose job is to point out that Coalition government policies are harming the innocent poor. The Flail‘s tone was Nurembergian – and almost entirely fact-free – as it denounced ‘Brazil Nut’ Raquel Rolnik for imaginary crimes against Iain Duncan Smith’s benefit cuts – the homicidal, if not genocidal, measures that are driving hundreds of thousands of people into destitution and despair. You see, the Fail is fine with destitution and despair for the poor – its readers are all rich middle- or upper-class housewives who pass their days spending their husbands’ vast fortunes (this is not entirely true, but is exactly the sort of generalisation you can expect from that paper. If you are a Mail reader, it isn’t such fun when you’re the victim, is it?) and gossiping. The news story is that a group of United Nations poverty ambassadors has written a 22-page letter pointing out that cuts to social security benefits introduced by Iain Duncan Smith and enforced by his Department for Work and Pensions on behalf of the Coalition government may constitute a breach of the UK’s international treaty obligations to the poor. The letter is new but its factual information is not, having been confirmed by the Council of Europe. Among the benefit changes it highlights are alterations to housing benefit, council tax benefit, working age benefits and the bedroom tax and the benefits cap – which everybody agrees would be a good idea if it had been limited to a reasonable amount, rather than one at which the Conservative-led Coalition could throw people into hardship. The Mail‘s report pays little attention to the facts, lavishing far more space on Mrs Rolnik herself. It said she had been nicknamed the ‘Brazil Nut’, which she had – by the Daily Mail; and went on to attempt to cast doubt on her authority as special rapporteur on housing and those of fellow UN ambassadors Maria Magdalena Sepulveda Carmona, special rapporteur on extreme poverty; and Olivier De Schutter, the special rapporteur on the right to food. These are experts in their field who have been engaged by the United Nations – a higher-ranking legal authority than the UK – to investigate government policies, but that’s not good enough for the Mail. It prefers to get its opinions from tupenny-ha’penny Tory thinktanks. So it casts doubt. The letter is from ‘ambassadors’ and follows an ‘investigation’, according to the Mail, because putting those words in that way casts doubt upon their validity. Mrs Rolnik was brought up as a Marxist, the Mail states – as if that has anything to do with her findings. And the report claims she should leave the UK alone and concentrate on problems in her own country, where millions of people live in shanty towns – even though the writer, ‘Jason Groves’, should know perfectly well that her job involves just that. She had received allegations of evictions without due process or in breach of international human rights standards, cases in which residents and citizens had not been consulted and were barred from to participation in decisions that had a grave impact on their standard of living. Concerns had also been expressed about very low compensation that might lead to the creation of new “informal settlements” (shanty towns) with inadequate living conditions or greater rates of homelessness. So critics who think she has ignored issues in her home country are wrong. That’s a bit of a blow to the Mail‘s credibility, isn’t it? The measures criticised by Mrs Rolnik and her colleagues were brought in “to tackle the huge budget deficit left by Labour”, according to the Mail. Again, this is wrong. The Coalition government has made no real effort to tackle the budget deficit which was necessitated when Labour saved our banking system, the threat having been created by Tory-supporting bankers whose greed put their firms into overwhelming debt. Look at the annual deficit for the last financial year; it is still well above £100 billion. If you agree that the cuts were to bring the deficit down, you have swallowed a lie. Iain Duncan Smith, the man this blog describes as ‘RTU’ (standing for ‘Returned To Unit’ in tribute to his failed Army career) is reportedly furious at this intervention from the United Nations, which has a duty to intervene if governments of member countries descend into criminality, as has happened with the UK (here’s just one example). Vox Political has reported extensively on this matter and his arguments carry about as much weight as his retrospective Jobseekers (Back to Work Schemes) Act. Take a look at Mrs Rolnik’s report on housing in the UK and the research that supported what she said and then ask yourself if Mr …Smith has got a leg to stand on. “Unelected” and “Can’t get their facts straight” are both criticisms that could be applied with more accuracy to Mr …Smith and his government. Additional: Here’s some more information about Iain Duncan Smith playing fast and loose with statistics, just in today. Criminal: Iain Duncan Smith has made the UK government into a criminal regime, illegally victimising its most vulnerable citizens. Iain Duncan Smith took an metaphorical slap in the face from the High Court today when Mrs Justice Lang said his retroactive law to refuse docked payments to jobseekers was not legal. The Jobseekers (Back to Work Schemes) Act 2013 was rushed onto the statute books after the DWP discovered the rules under which it had docked Jobseekers’ Allowance from 228,000 people, who had refused to take part in Workfare schemes, were illegal. The ruling does not mean that everyone who was penalised for refusing to take part, or for leaving the scheme once they had started it and realised what it was, may claim back the JSA that had been withdrawn from them. But anyone who appealed against a benefit sanction on the basis of the previous decision will be entitled to win their appeals and be repaid the withheld benefits – as Vox Political advised at the time. That payout could be as high as £130 million. The judge said retrospective application of the 2013 law conflicted with the European Convention on Human Rights and “interfered with the right to a fair trial” of all those affected. This is the latest twist in a legal challenge brought by Cait Reilly, a graduate who fell foul of the scheme, in 2012. She demanded a judicial review on the grounds that being forced to give up voluntary work in a museum (she wanted to be a museum curator) to stack shelves in Poundland breached her human rights. Poundland no longer takes part in mandatory work activity schemes run by the UK government. Her challenge succeeded when the Court of Appeal ruled that she had not been properly notified about the scheme. This meant that the government was guilty of criminal acts in removing benefit from Ms Reilly and hundreds of thousands of others. In response, the Coalition passed an Act that retrospectively legalised its actions – but claimants argued that this was unfair and demanded their compensation. In the meantime, Iain Duncan Smith’s own appeal was heard – and dismissed – by the Supreme Court. And after the Act was passed, it became clear that the Coalition had known since 2011 that the policies it was enforcing do more harm than good and are not in the national interest. Mrs Justice Lang said today (July 4) that “the absence of any consultation with representative organisations” as well as the lack of scrutiny by Parliamentary committees had led to “misconceptions about the legal justification for the retrospective legislation”. The 2013 Act introduced a new “draconian provision, unique to this cohort of claimants” which was “not explained or justified” by the government in Parliament “at the time”. Mrs Justice Lang rejected the Secretary of State’s assertion that flaws in the 2011 Regulations were simply “a technicality or a loophole”, that the 2013 Act sought to give effect to Parliament’s ‘original intention’ or that repayments to benefits claimants would be “an undeserved windfall”. She also recognised that it would be “unjust to categorise the claimants in the Cait Reilly case as claimants “who have not engaged with attempts made by the state to return them to work”, as asserted by the Department for Work and Pensions. “This case is another massive blow to this Government’s flawed and tawdry attempts to make poor people on benefits work for companies, who already make massive profits, for free,” said solicitor Phil Shiner of Public Interest Lawyers, who appeared for the unemployed. So there it is, in black and white. Iain Duncan Smith has made the Coalition government a criminal organisation, guilty of 228,000 human rights violations. This is a serious matter; some of these people may have been put in serious financial hardship as a result of the Coalition’s actions. 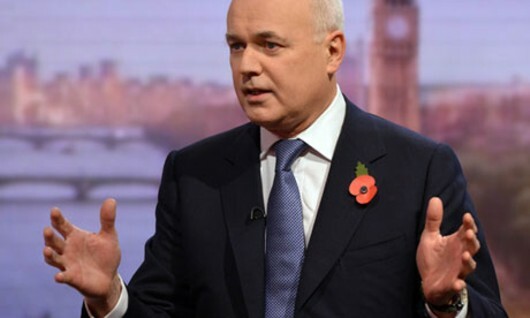 One hopes very much that nobody died but if they did, those fatalities should be added to the many thousands who have passed away as a result of Iain Duncan Smith’s homicidal regime for claimants of incapacity benefits. Let us not forget, also, that we remain at the mercy of these tyrants. Iain Duncan Smith has announced he intends to waste yet more taxpayers’ money on another appeal. In the meantime, a DWP spokeswoman said the legislation remained “in force” and the government would not be compensating anyone pending the outcome of its appeal.